Shortly before the end of the afternoon session in Bahrain, the 20-year-old Schumacher posted a time of 1 minute, 29.976 seconds. That was briefly the fastest time of the day before it was surpassed by Red Bull’s Max Verstappen, who was 0.597 seconds faster. 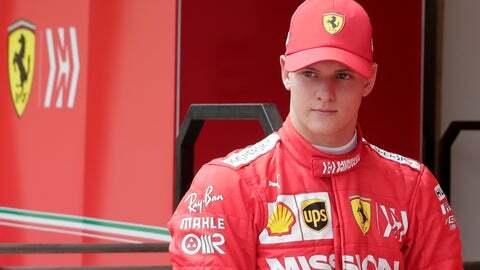 The performance is likely to generate even more excitement about the prospect of seeing a Schumacher driving in Ferrari’s famed red car again. Five of his father’s record seven F1 titles were won with Ferrari from 2000-04. His 50-year-old father also holds the record for F1 wins with 91. Schumacher is part of Ferrari’s driver academy, as was the 21-year-old Charles Leclerc — who is now racing for Ferrari after just one season with Alfa Romeo Sauber in F1 last year.